Olives are either avoided or loved, if you’re one of the latter our Marinated Olive Flavored Compound Butter is just for you! 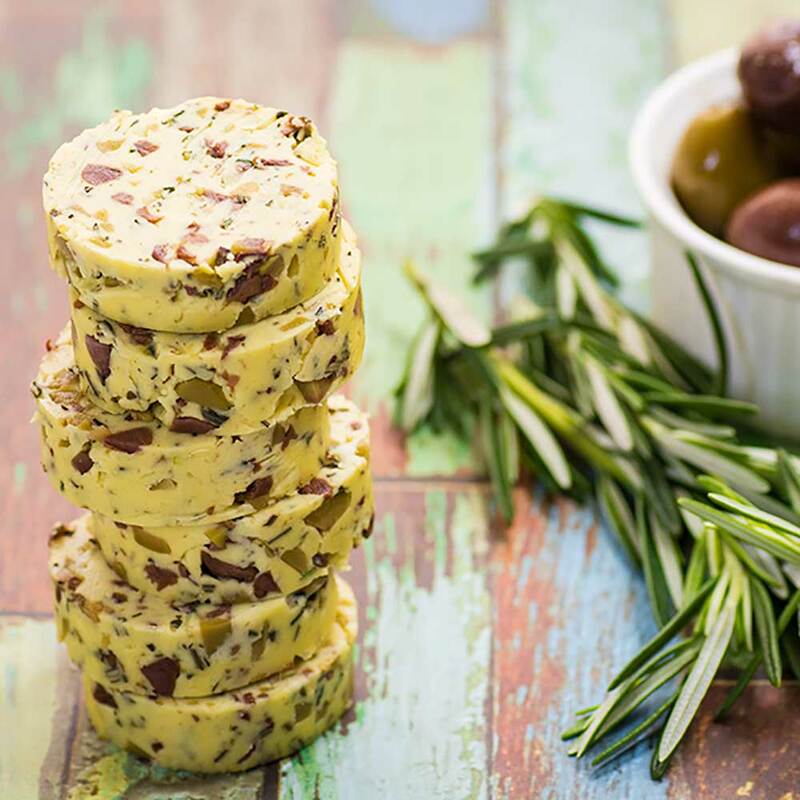 The mixture of olives, rosemary and butter are a delicious combination to add to just about any meal. 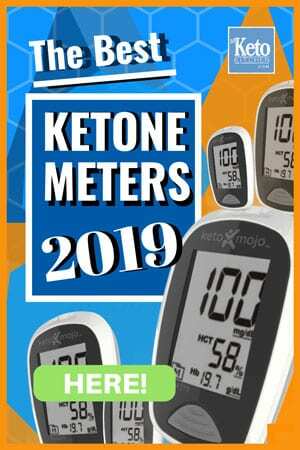 This is one tasty flavored butter, and it’s great spread onto Ketogenic Flaxseed Crackers for a quick fat fueled snack. It’s also great melted over your favorite protein, or toss through steamed or roasted vegetables. The olives we used were very salty and we didn’t need to add any further salt to the recipe. If your olives are overly salty, you can soak them in water for an hour to help remove some salt. This compound butter recipe makes 10 serves, a serve is 1 tablespoon. This butter can be stored in the fridge for up to 2 weeks and stored in the freezer for up to 3 months. Remove the seeds from the olives and finely chop the flesh, you should end up with ¼ cup of chopped olives. Add to a mixing bowl. Finely chop the rosemary and add to the olives. Add the softened butter and mix well, ensuring all ingredients are combined. Add salt if desired. Gently spoon the butter onto a sheet of cling film and roll into a log shape. Set in the fridge for 20 minutes before serving. Store in the fridge or freezer. Olives are either avoided or loved, if you're one of the latter our Marinated Olive Flavored Compound Butter is just for you! 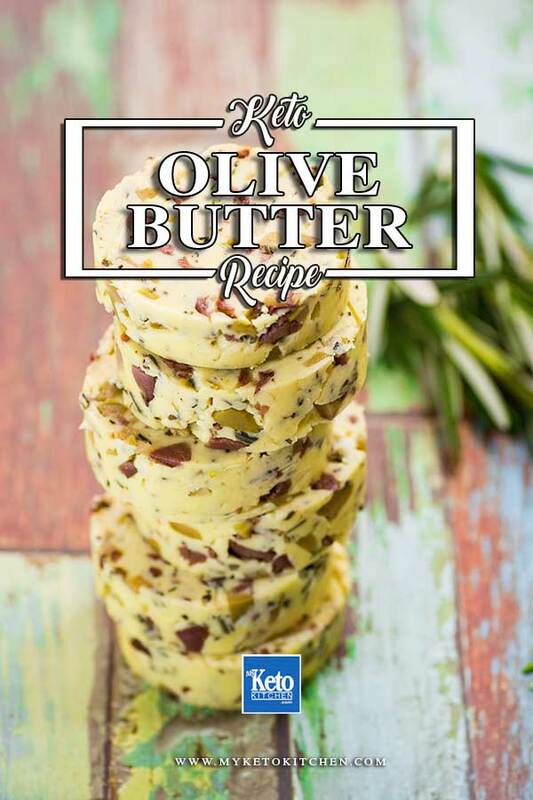 The mixture of olives, rosemary and butter are a delicious combination to add to just about any meal. To make a larger batch of Marinated Olive Flavored Compound Butter, simply adjust the serving amounts in our easy to use recipe card above.